The U.S. Federal Communications Commission will vote May 18 to kick off a proceeding to "reverse the mistake" of the agency's 2-year-old net neutrality rules, FCC Chairman Ajit Pai said. 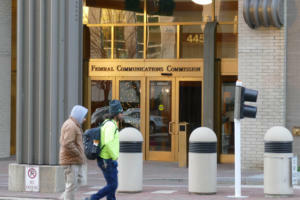 The U.S. Federal Communications Commission has voted to deregulate the providers of the business data lines connecting broadband service to many small businesses, schools, hospitals and ATM machines. On Monday, the Federal Communications Commission killed a plan to allow mobile phone calls during commercial airline flights. The arrest of Piotr Levashov at the Barcelona airport on Friday was not tied to Russian interference in the 2016 U.S. election, one source close to the investigation said. Two powerful U.S. lawmakers are pushing the Trump administration to tell them how many of the country's residents are under surveillance by the National Security Agency. The Russian government used "thousands" of internet trolls and bots to spread fake news, in addition to hacking into political campaigns leading up to the 2016 U.S. election, one senator said. The sale of tech publishing pioneer International Data Group to China Oceanwide Holdings Group and China-based IDG Capital has closed, the companies said Wednesday. Privacy advocates haven't given up the fight after Congress voted to allow ISPs to sell customers' browsing histories and other personal information without their permission.